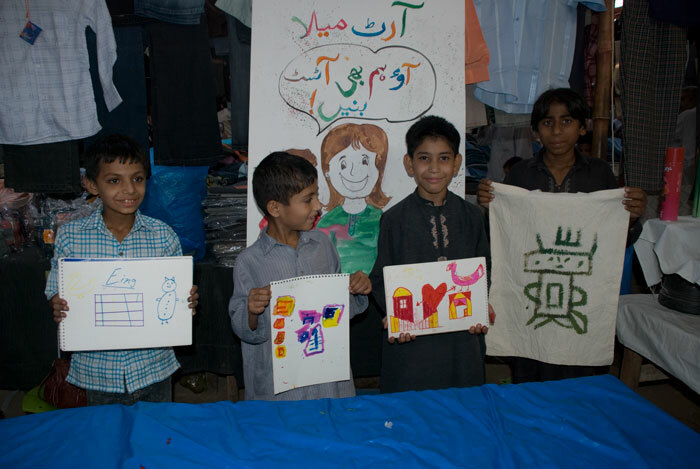 Khayal Khana was a series of public art projects, primarily geared towards encouraging art appreciation and making art accessible for the masses and responding to the local aesthetics of the city. An off shoot of the Vasl Artists’ Collective, Khayal Khana was conceptualized by a group of fresh graduates. Department of Visual Studies at the Karachi University. 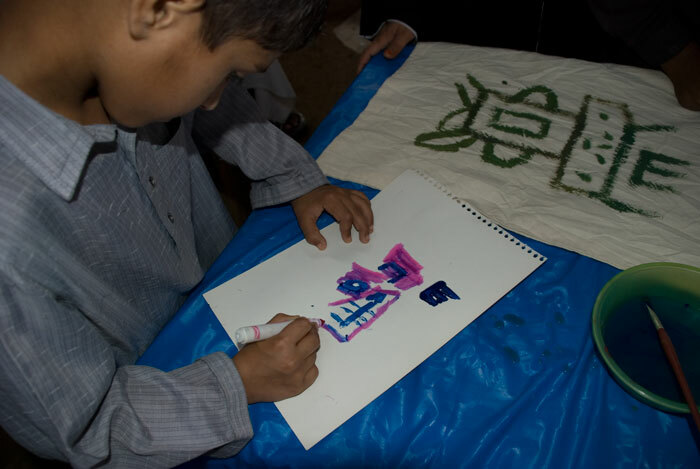 Khayal Khana kicked off in 2008 with an art outreach program. 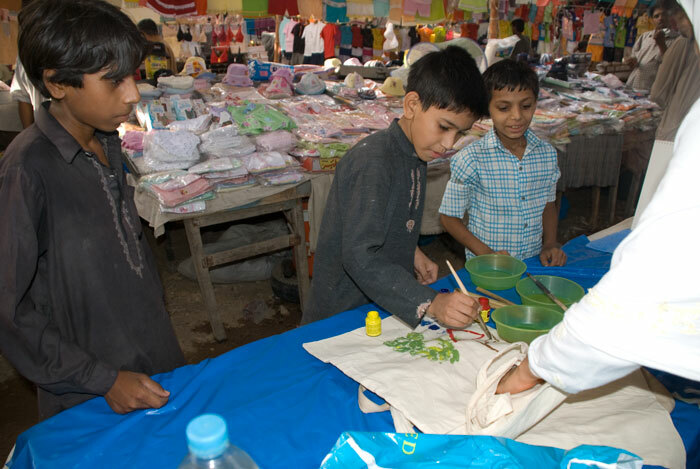 Conducted at ‘Itwaar Bazaar’(Sunday Market), these activities were meant to introduce art to the children visiting the bazaar including the young laborers working in the market. 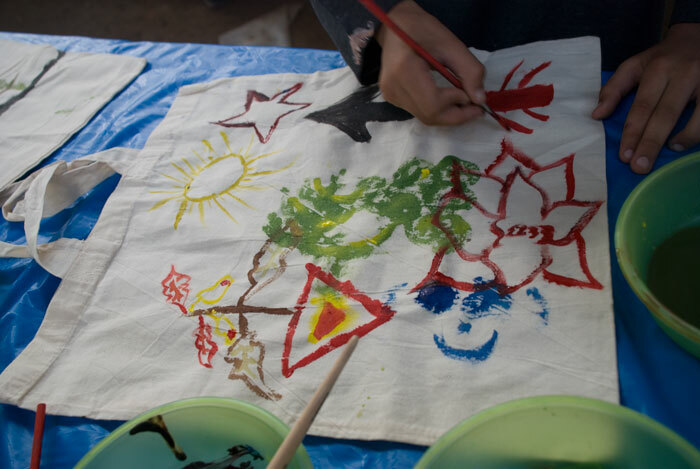 The idea was to introduce them to art and provide them with an object that they could experiment with. 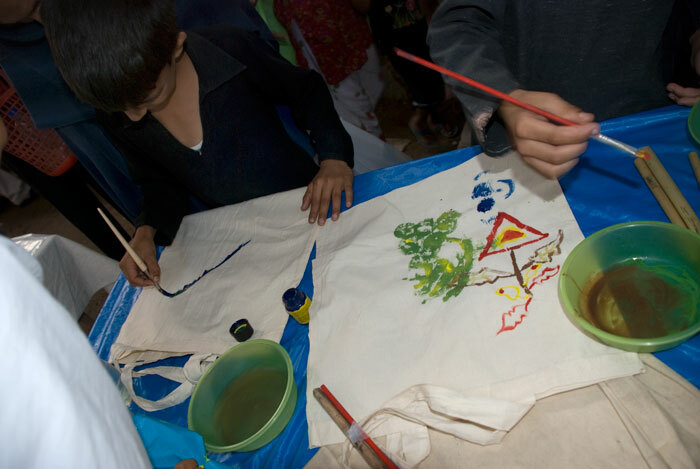 In this particular activity, the children painted on bags that were later sold by them. 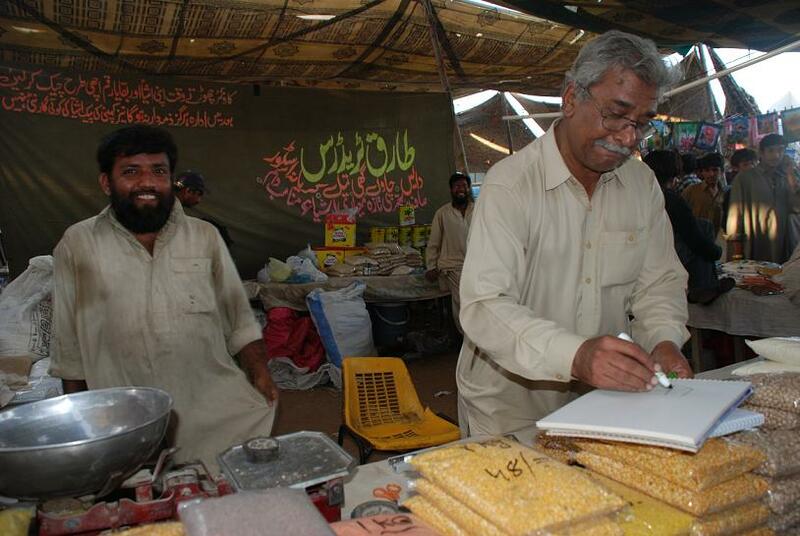 The working members included Samar Faisal Zia, Mariam Ahmed, Sahar Rashid, Madiha Saboor and Sana Ahmed.